vaccines and basic wellness exams. on Monday between 10 a.m. and 2 p.m. This event is for the homeless and their animal companions only. 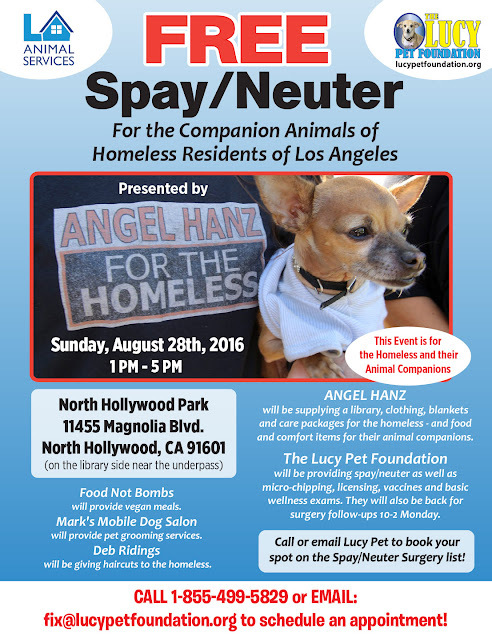 to the animal companions of the homeless. including medical, while they are on the streets. We always appreciate additional VOLUNTEERS and SPONSORS!! 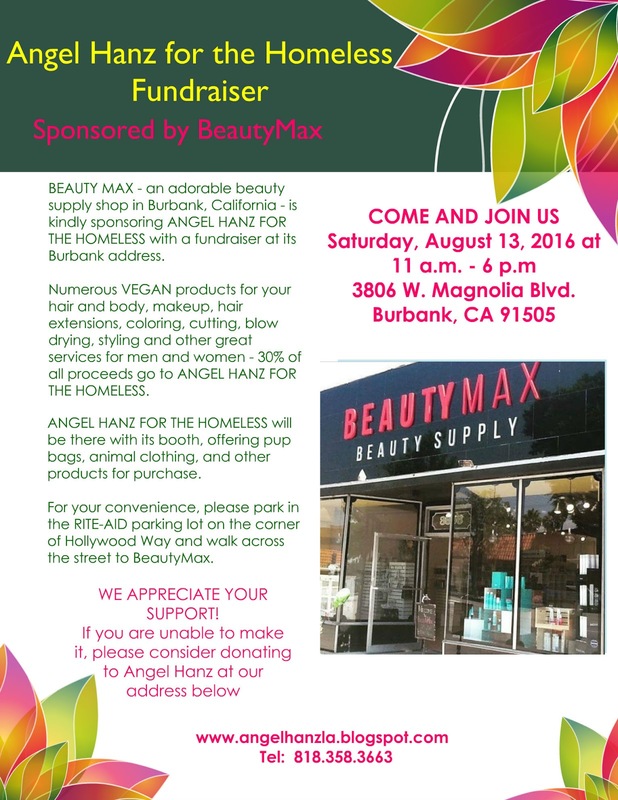 30% of all proceeds go to Angel Hanz for the Homeless. Angel Hanz for the Homeless at the same time.